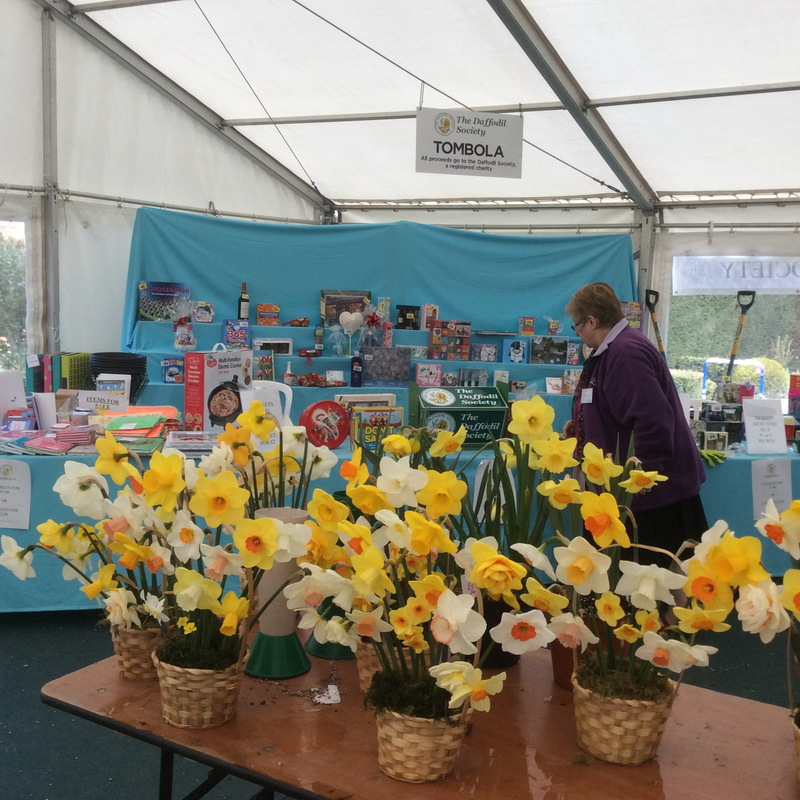 Exhibitors are keeping an anxious eye on the weather as they prepare for the Daffodil Show at Coughton Court. 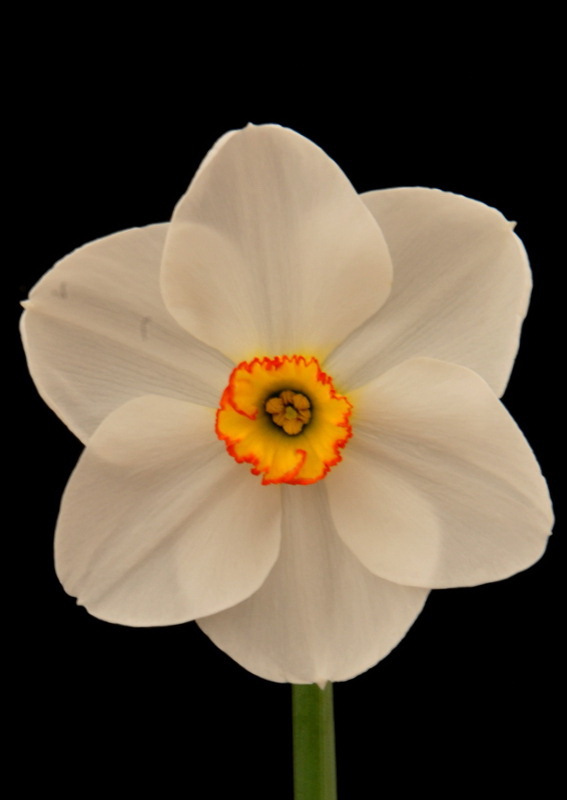 Not many daffodil growers want strong sunlight and unseasonably warm temperatures despite what the weather forecasters say! 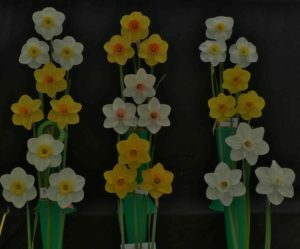 Visitors to the show are always amazed to see such perfect blooms of every colour and form when their own yellow garden daffodils are long since dead and gone. The secret is careful selection of mid season flowering bulbs, good growing techniques and a bit of luck. The generally mild wet winter has been a good year for daffodils so there will be plenty of top quality blooms on show benches with the trophy classes keenly fought in friendly competition. 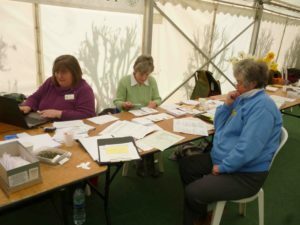 New exhibitors are always welcome and please let the Show Secretary know if some help and encouragement is needed. We have people who can make you welcome and show you the ropes. The Society provides vases but be sure to bring your own moss (lawn raked is fine), scissors, a soft brush to remove fallen pollen and specks of dirt, a mini watering can, pen and cards to label your entries and a soft cloth to give everything a final polish. 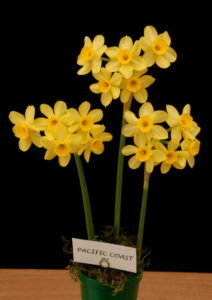 Just to whet your appetite here are a few photos from past shows. 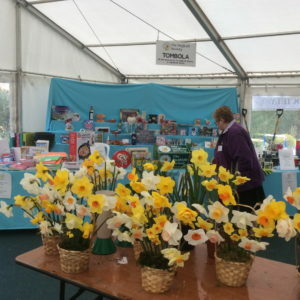 If you can also bring a prize suitable for the tombola Wendy and her team will happily take them right up to show day.